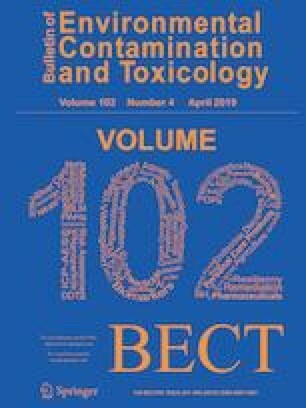 The objective of this study was to evaluate the impact of sublethal concentrations of treated landfill leachate on Oreochromis niloticus individuals after exposure for 96 h, by assessing biochemical, genotoxic and immunologic biomarkers. Among biochemical biomarkers (activities of ALT, AST and GST enzymes), the treated landfill leachate did not cause significant alterations on O. niloticus and did not significantly affect leukocytes used as an immunologic biomarker. On the other hand, treated leachate induced genotoxic damages, since an increase in erythrocytic micronuclei and in DNA damage (comet assay) were observed in fish exposed to all treatment (2, 4 and 6 mL L−1). Acute toxicity of treated leachate in O. niloticus caused only genotoxic changes in blood cells, showing that micronuclei and comet assay, together, are effective biomarkers in determining the acute toxicity of treated leachate in aquatic environments. This work also shows that leachate, although treated, caused some damages to O. niloticus, which indicates the employed treatment was not efficient in eliminating all genotoxic substances from the leachate. The authors would like to thank the Post-Graduate Program in Ecology of Ecosystems (UVV) and the Laboratory of Applied Ichthyology (Lab Peixe - UVV) for their support in carrying out this research.